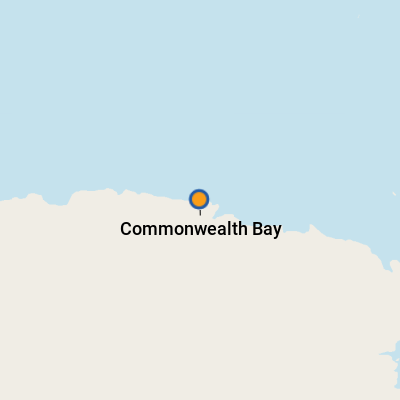 Renowned adventurer Sir Douglas Mawson sailed into Commonwealth Bay in January 1912 as part of the Australasian Antarctic Expedition. More than 100 years later, cruise ships have been able to call at this very difficult-to-reach destination. But that wasn't the case for several years when a massive iceberg, measuring 140km long x 50m wide, covered the entrance to the bay. Named after the Commonwealth of Australia, the site is located between Point Alden and Cape Gray. It is listed in the Guinness Book of World Records as the windiest place on Earth. Winds regularly exceed 240km per hour, particularly in the winter months when storms can be sudden and strong, although summer brings calmer periods. The extreme weather doesn't keep the wildlife away. The area has become an important breeding site for emperor penguins, Adelie penguins, Antarctic petrels and leopard seals. There is no Antarctic currency and nowhere to spend your money. Scientists based in Antarctica speak a variety of languages, but the most widely spoken are English and French. For a long time, when you traveled to the ends of the earth, there wasn't much variety in what you'd do. Cruisers reaching Antarctica might go for quick hikes ashore, stare at a few thousand penguins and cruise on inflatable rubber Zodiacs around icebergs or wildlife. After all, there was no infrastructure to speak of, no ancient culture to discover (which is still true) and no opportunities for shopping. Safely reaching and returning from the White Continent was enough excitement. No longer! As the expedition industry has developed and matured, creativity has upped the ante for shoreside activities. Of course, the standard model of hikes and Zodiac trips led by experienced naturalists still forms the backbone of every expedition cruise. These staples are always included in the price of your cruise. 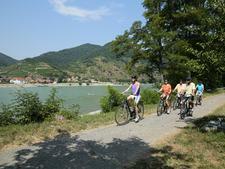 But nowadays, more adventurous activities aimed at younger, thrill-seeking passengers are available, with new ideas cropping up every year. The latest ships -- purpose-built for expedition cruising -- even offer helicopters and submersible rides for the ultimate James Bond moment. Check out the activities that many companies are now offering, including a few of our own favorite extraordinary Antarctic activities available to everyone. 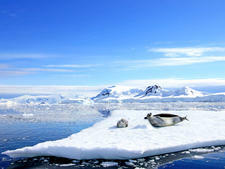 For more on Antarctica cruising, check out these articles on Antarctica cruise basics and Antarctica wildlife. Considering a trip to Antarctica, the coldest, windiest and most remote place on the planet? 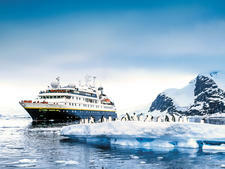 You need to read our Antarctica cruise tips. From the best time to go to Antarctica to what you need to bring when Antarctica planning - it's all here.